US Sports Academy2015-01-20T20:02:16-05:00January 20th, 2015|Comments Off on Where Are They Now? Rick Antinori (B.S.S. Sports Management, current student) published an E-Book entitled, “Real Players Swing Wood.” Antinori is a sales representative for the Phoenix Bat Company. Torre Becton (M.S.S. Sports Science, 2014) is the University of Washington Assistant Strength and Conditioning Coach and earned his degree while juggling five different job changes and moving across the country. Jeff Brookman (M.S.S. Sports Management, 2008) men’s basketball coach at Spartanburg Methodist College (SMC), hosted the first annual SMC/Jeff Brookman Basketball Academy this summer in South Carolina. Abdulrahman Ali Buali (IDSM, 2005) was elected on November 29, 2014 to the Kingdom of Bahrain’s Parliament representing the Muharraq Governorate: Eighth Constituency. Jerry Buccilla (M.S.S. 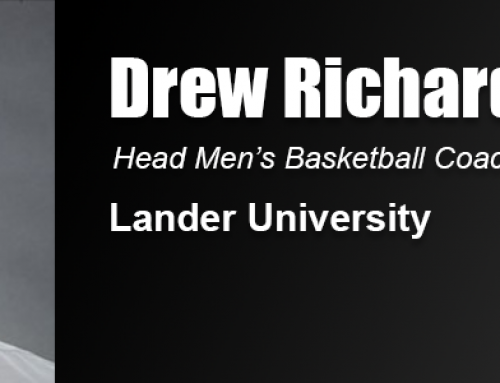 Sports Management, current student) was named as head men’s basketball coach at Tiffin University (Tiffin, Ohio). Brian Erickson (M.S.S. Sports Management, 2010) was promoted to men’s head basketball coach at Northwest College in Powell, Wyo. Joe Esposito (M.S.S. Sports Coaching, 1990) was appointed as assistant basketball coach at Texas Tech University. Scott Flemming (M.S.S. Sports Coaching, 2012) India’s national basketball coach, was quoted in the May 6, 2014 issue of Sports Illustrated about basketball in India. Bruce Fischbach (M.S.S. Sports Science, 1991) was named to the South Dakota Athletic Trainer’s Association (SDATA) Hall of Fame. Jason Fonseca (M.S.S. Sports Management & Sports Coaching, minor in NCAA Compliance, 2011) has published the book Great Scots! Scottish Men whom Shaped, Changed and Created the Modern World. Terry Fowler (M.S.S. Sports Management, 1994) was appointed as women’s head basketball coach at the University of South Alabama in Mobile, Ala.
China Jude (M.S.S. Sports Management, 1996) Queens College (New York) Assistant Vice President of Athletics, was named Chair of NCAA’s Minority Opportunities and Interests Committee. This committee, which represents all three divisions, is charged with reviewing issues related to the interests of underrepresented populations in coaching, athletics administration, officiating and the NCAA governance structure. Rob Hoyt (M.S.S. Sports Coaching, 2011) was named men’s head basketball coach at Columbia College in California. Ret. Brig. Gen. Lionel Lee, M.D. (M.S.S. Sports Medicine, 1983) was appointed as professor and executive vice dean at Lee Kong Chian School of Medicine in Singapore. Jason Medlock (Ed.D. Sports Management, current student) accepted a position as the Assistant Vice President for Advancement, Research and Economic Development for Athletics at Grambling State University, in Grambling, La. Jeff Mittie (M.S.S. Sports Management, 1992) accepted the position as the head women’s basketball coach at Kansas State University. He is one of the winningest active coaches in NCAA Division I with more than 450 career wins. Derrick Mitchell (M.S.S. Coaching and Sports Studies, 2009) was named the new head men’s basketball coach at Voorhees College, in Denmark, SC. Prior to joining Voorhees, Mitchell served as women’s assistant basketball coach at Southern Arkansas University. Angie Watson Morenz (Ed.D Sports Management/Sports Leadership Specialization, current student) the first woman in Blackburn College history to be awarded 12 athletic letters, has been named athletic director at her alma mater in Carlinville, Ill.
Dr. Linda Moore (M.S.S. Sports Science, 1989) was the keynote speaker during Quincy University’s 151st Commencement ceremony in May. Dr. Moore, who also serves on the Sports Academy’s Board of Trustees, is currently ESPN’s senior director of business administration. Brad Nein (Ed.D Sports Management, current student) was hired as the goal keeping coach for the women’s soccer team at Armstrong Atlantic State University in Georgia. Lance Noble (M.S.S. Sports Coaching, 2005) is the general manager of the Texas Strikers, a professional indoor soccer team that plays in the Major Arena Soccer League, based in Beaumount, Tex. U.S. Navy Commander David Peterson (Ed.D. 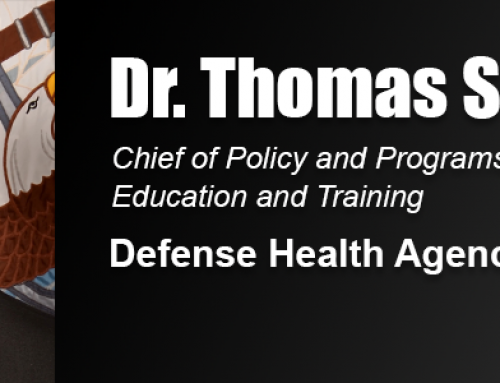 Sport Management with an emphasis in Health and Fitness, 2014) serves as the Director of Remedial Physical Training (PT) Programs and the Human Performance Lab at the United States Naval Academy (USNA). Adam Reeb (M.S.S. Sports Science, 2010) became the Head Men’s and Women’s Tennis Coach at McKendree University in Lebanon, Ill. The men’s and women’s tennis teams were both successful on the court and in the classroom in only his first year as head coach. Dr. Molly Sauder (Ed.D.  Sports Management, 2014) is a York College Professor who earned her Doctorate from the Academy by successfully defending her dissertation “Early Experiential Learning and Perceived Outcomes from Sport Management Internships” in early September. Adam Schiermyer (M.S.S. Sports Management, 2003) was named head varsity football coach at Blissfield High School in Michigan. Wes Schneider (M.S.S. Sports Coaching, 2012) was hired as California Baptist University’s new men’s head volleyball coach. Sara Shaw (M.S.S. Sports Management, current student) was named the head softball coach at the University of Maine at Presque Isle (UMPI), a Division III school in upper Maine. Phillip Shumpert (B.S.S. Sports Management, 2006) was hired as men’s assistant basketball coach by the Southern Polytechnic State University Department of Athletics in Marietta, Ga.
Mary Beth Spirk (M.S.S. Sports Management, 2002) achieved her 500th win as Head Women’s basketball Coach at Moravian College in Bethlehem, Pa. ranking her in the top 25 in the nation. Jim Stomps (B.S.S. 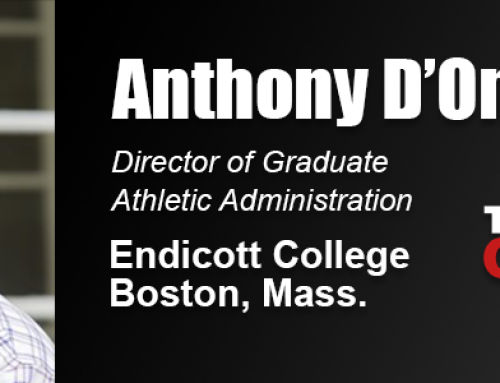 Sports Coaching, 2010) was named K-12 athletic director at Salem Academy in Oregon. Lanning Tucker (M.S.S. Sports Medicine, 1992) was promoted to assistant athletic trainer and rehabilitation coordinator for Major League Baseball team the Minnesota Twins. James Vilade (M.S.S. Sports Management, 2003), the Academy’s 2010 Alumnus of the Year, has enjoyed a very successful coaching career since obtaining his Master’s Degree from the Academy in 2003. Vilade serves as a scout, first base coach and hitting coach for the Frisco Roughriders, the Class AA affiliate of the Texas Rangers, in Frisco, Texas. He has coached current major-leaguers, Elvis Andus and Chris Davis. Michael Vollmar (M.S.S. Sports Management, 1999) was appointed as senior associate athletic director for football administration at the University of Tennessee. Ken Wakefield (M.S.S. 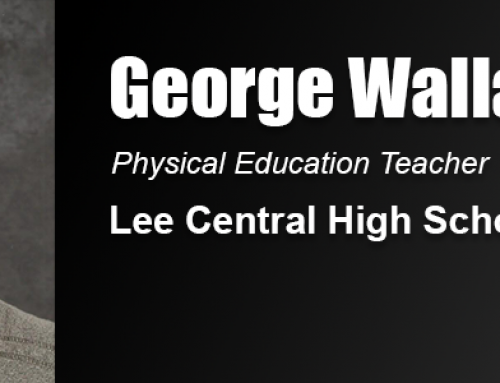 Sports Coaching, 2010) was named as head football coach for Culpeper County High School in Virginia. Lynn Wheeler (M.S.S. Sports Management, 1996) was honored when the University of Texas crew team named their newest boat after her. The UT rowing team has a long tradition of naming their boats after inspirational Texas women including the former Governor of Texas, Ann Richards. Joey Woody (M.S.S., Sports Coaching, 2013) is currently the Director of Track and Field and Cross Country at the University of Iowa in Iowa City, Iowa. Prior to this position he served as the Associate Head Track and Field Coach.